Folks, I have got the blogging blahs. I don’t know what my problem is, but I hope I snap out of it soon because I am driving myself crazy. Thanks to a blissfully relaxing ten-day vacation last month, I tore through an usually large number of books. Ahhh, to have ten (paid) days off every month . . . Worst Book-to-Film Adaptation Award: Then She Found Me by Elinor Lipman (read in June). This movie was so atrocious I hardly know what to say. It bore so little resemblance to the book it was appalling. Even viewed independently of the book it was a terrible movie. I think the actors did the best they could, but it felt like they were trying too hard create interesting, complex characters. I never connected with any of them. The plot itself sort of wandered aimlessly about, too, which drove me nuts. Ugh. Helen Hunt and Colin Firth, can we pretend this movie never happened? The I Can’t Seem to Figure Out Who Wrote This Book Award: I’ve Got Your Number. Seriously, guys. Who wrote this book? 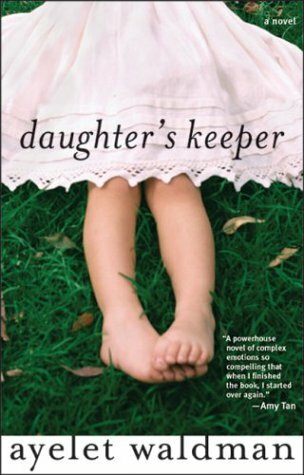 I’ve looked all over the cover for the author’s name and I just can’t seem to find it anywhere! Wait . . . I think I might have . . . no, that’s not it . . . Oh! There! There it is! It’s those giant letters that take up HALF THE COVER. Whew, I’m so glad I found it. It was really starting to worry me. 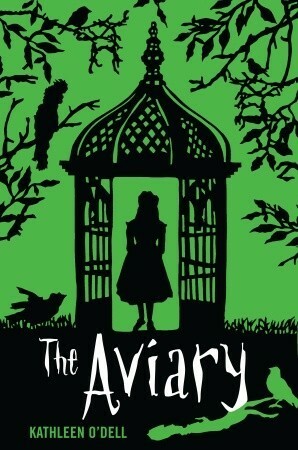 This cover is a much better fit for the book than the covers I discussed earlier, and I just love the sharp contrast between the black silhouettes and the green background. Kudos to Knopf Books. Did anyone else notice that I read only female authors last month? I didn’t realize I was doing it until August was nearly over and the books sitting on the top of my TBR were also by women. Huh. Interesting. Reading goal for the rest of the year: diversity. Come on and cover me . . . No, wait. Don’t. I try not to judge a book by its cover. (Okay, I mostly try not to judge a book by its cover.) I also try – mostly – not to hold it against a book when it has a lousy cover. But being human and all, I frequently fall prey to my own flaws. 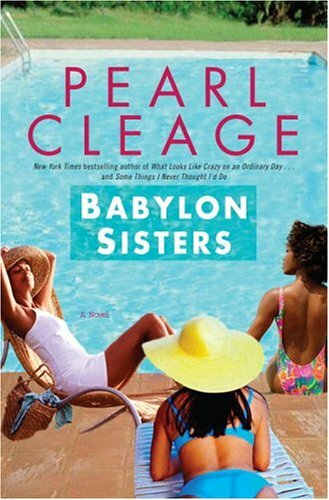 Such was the case with Babylon Sisters by Pearl Cleage. I look at that cover and I think light, fluffy beach read. I think drinks with little umbrellas, wide-brim hats, maybe a hot guy or two, female bonding, and lots of pool shenanigans. And if it wasn’t for Pearl Cleage’s name on the cover, I would also think, Meh. No, thanks. Of course Babylon Sisters was none of those things. Yeah, there was a hot guy and some female bonding and the pool showed up in the story a few times, but overall the book was nothing like the cover. There was never a scene with three women lounging by a pool. (I don’t even know who those three women are supposed to be.) And sure there were light moments, but the book took on weightier issues, too. Clearly the publishers are targeting a specific audience, but surely they could have come up with a cover that better represents the book itself. So what did I do next? 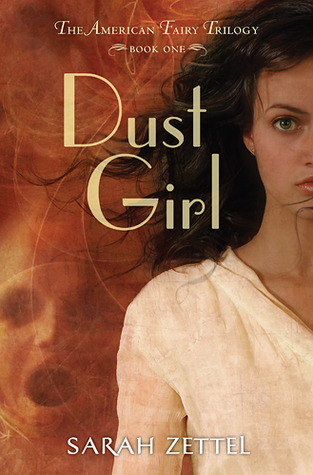 I read Dust Girl by Sarah Zettel, knowing full well the cover was going to piss me off. I’m assuming the girl we see here is Callie, our protagonist. It’s actually a pretty big assumption to make seeing as how Callie is biracial and that girl is not. Callie’s mom is white and her father is black – which we learn in the second chapter – and her hair is described as “coarse” in the very first chapter. In the beginning of the book her skin is cream-colored due to a lifetime of covering up every time she goes outside. Why does Callie have to keep her skin light-colored? you ask. Oh, see that’s because the book takes place in Kansas in 1935. Apparently not much has changed in 77 years. That cover is insulting. It’s insulting to Callie. It’s insulting to the author. It’s insulting to biracial readers because not only does it send the message that people with their racial makeup aren’t worthy of honest representation on book covers, it also sends the message that publishers don’t think their skin tone will sell. It’s insulting to non-biracial readers because it assumes they won’t read a book that features a character who has a different skin color than their own. And to that I say: BITE ME. This is 2012, people. Enough with the whitewashing already. Before I launch into my usual monthly report, I want to apologize for flooding your Google readers last weekend. What happened was this: on Saturday I updated the tags on several old posts. For some reason Google interpreted these updates to mean that the posts were new. When I logged into my Google reader and saw that The Alcove had 44 unread posts I nearly choked. I don’t know why it did that so I can’t promise that it won’t happen again, but I am really, really sorry. In July I read . . . The I May Have Checked the Floor For a Disembodied Hand Award: Coraline. I know Coraline is a creepy book. I’ve read it several times before. But somehow I had forgotten just how deliciously creepy it is . . . until last month when I was reading it late at night. When I got out of bed, I may have first checked the floor for disembodied hands. No, I haven’t pissed off any button-eyed other mothers lately, but you can’t be too careful about these things. The Caps Lock Award: Going Postal. Usually Excessive Use of Capital Letters Drives Me Crazy. When Used In Titles Or To Drive Home A Point, I Don’t Mind It. Used All The Time, However – Yeesh. No Thanks. 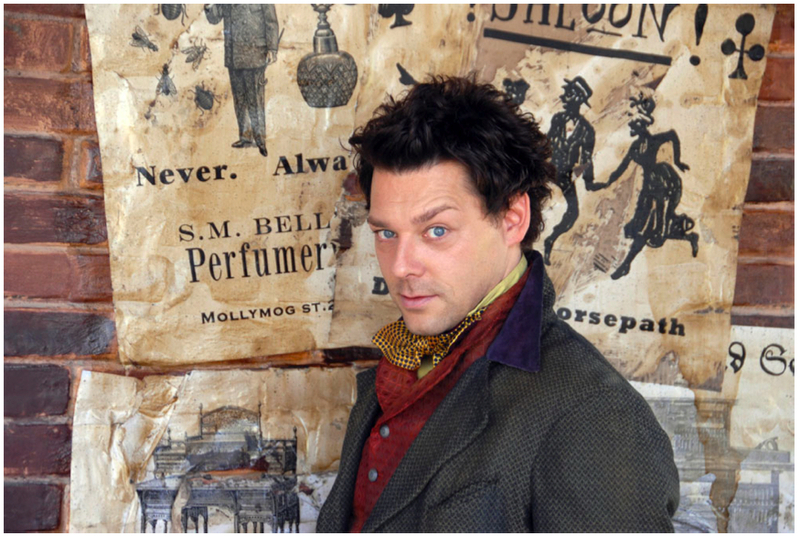 But When I Met Mr. Pump, A Character In Going Postal, I Changed My Mind. He Talks Like This And It Just Suited Him So Perfectly I Couldn’t Get Annoyed. I Don’t Think Pratchett Could Have Portrayed His Slow, Deep, And Rumbling Voice Any Other Way. He Was, Hands Down, My Favorite Character In The Book. How was your July? No disembodied hands creeping around your house, I hope? And now presenting Heather Dixon, author of Entwined. Welcome, Heather! When I was in college and just writing Entwined and discouraged about it because it was in the horrible early stages and was all dark and weird and depressing (and it was, too–it was closer to the original fairy tale, which had witches and poisoned wine and such) I read my first Terry Pratchett book. It was “Going Postal.” My family–already die-hard fans of the Discworld series–leant me the book, which had pages falling out from being thumbed through so much. I read the prologue, “The Nine-Thousand Year Prologue”, which had beautiful prose and made absolutely no sense. When I turned the page, there was another prologue–“The One-Month Prologue.” That one also didn’t make any sense. And then, in the first chapter, the main character, Moist von Lipwig, is hanged. What kind of sorcery is this? I thought. He’s brought back to life, of course, and the city’s patrician (tyrant) forces him to get the derelict post office up and running again. Moist had been a conniving thief and swindler, and does whatever he can to get out of his new job. But as he resurrects the struggling post office, he begins to realize what a jerk he was, and by the end of the book, through clever prose, soulful, funny characters, and brilliant dialogue–my gosh, the dialogue. Such incredible dialogue. I could slice up Terry Pratchett dialogue and eat it as three square meals a day–and angels, Moist is redeemed. I flipped back to the two prologues, re-read them, and now they made sense. They were about characters that had died, but who Moist, in his own redemption, had redeemed. In the world of creative writing, there are a lot of proclaimed do’s and don’t’s. Don’t start your book this way. Do make your chapters this long. Don’t write what people actually say. Do write what people actually say. Editors like this. Agents like that. Show, don’t tell. (<–that’s one “fix all” phrase I absolutely hate.) It’ll make any writer paranoid to distraction. 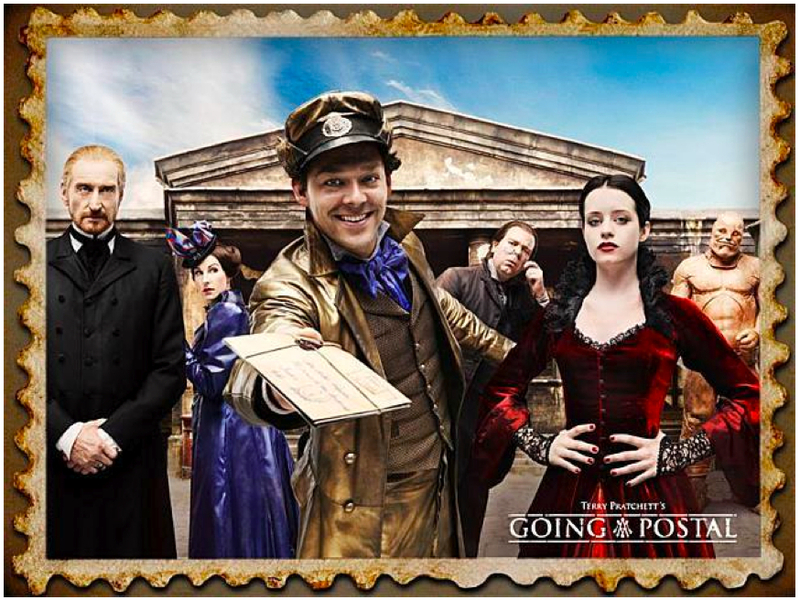 With Going Postal, I felt I left those pretensions behind. He broke all the rules. Prologues, jumping POV’s, footnotes, varying fonts and sizes, chapters of all sizes, such stylized characters, and he was funny. Every page made me laugh. In my reading journey, like Moist, I had transformed. I realized that I’d been caring too much what other people thought, and not being me. With that in mind, I was able to tackle Entwined (then called The Great Slipper Scandal) again with a renewed sense of what the story–and my writing–needed to be. 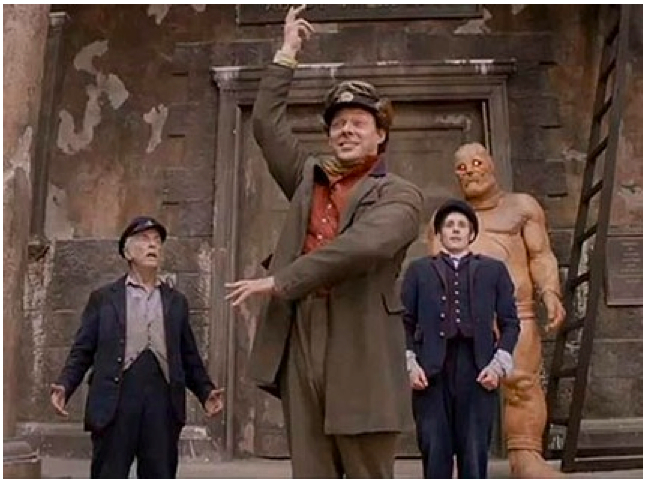 And, wouldn’t you know, I was able to craft it into a story that I hope, like Going Postal, told a story of redemption in a funny and entertaining way. If there’s something I hope that readers of Emily’s blog here, and also writers (since book blog readers & writers are often one & the same), it’s this: Don’t be afraid to create things your way. The literary world is rife with people who criticize and woefully lacking in people who create. Find your song in creators and writers whose work you recognize transcendence, and learn from them. Thanks, Em, for letting me be a guest here! Thank YOU, Heather! You are welcome to stop by any time. Want more Heather Dixon and/or Utah Book Month awesomeness? Read Entwined, check out Heather’s blog, or stop by the Utah Book Month blog for more Utah book goodness. Ladies and gentlemen, we are just three short days away from a monumental Alcove event. On August 1, I will host my very first guest post by . . . *drumroll, please* . . . a real, live author. A real, live author. Here. On my blog. To say that I’m ridiculously giddy would be the understatement of the world. So how did this amazing occurrence come about? Well, I’m glad you asked! Several months ago, my favorite new-to-me blogger Jessica at The Bluestocking Society announced that she and several other Utah book bloggers were going to host a Utah Book Month in August. She invited all interested book bloggers to participate, and even though I live approximately 2,000 miles away and my Utah experience is limited to three (yes, I said three) trips across the Utah salt flats in the Summer of 2004, I eagerly signed up. Shortly after that I received an email informing me that Heather Dixon, author of Entwined, had agreed to write a guest post for my little ol’ blog. All I had to do was email her a topic. Come up with a guest post topic? For a real, live author? I had absolutely no idea what to tell her, so I did what every reader does in a situation like this: I read. I read her book, I read her blog, I read interviews. And then I came to the conclusion that I completely adore Heather Dixon. She has a fantastic sense of humor (if you don’t have time to read her entire blog – which you really should do – at least read her Oregon Trail post. I read it multiple times and it never stopped being funny), and as if that isn’t enough to endear her to my heart forever and ever, she also loves Terry Pratchett. When I learned this, I really, really wanted to write her a gushing “OMG-I-so-totally-love-Terry-Pratchett-too-we’re-soul-mates-be-my-BFF-forever-and-always” email, but I thought that might terrify her. Instead I played it cool, like I email real, live authors all the time, and just sent her a list of possible guest post topics. I gave her the option of writing a post about Terry Pratchett, and even though I told her she could choose whichever topic she wanted, I secretly hoped she would choose that one. And she did! 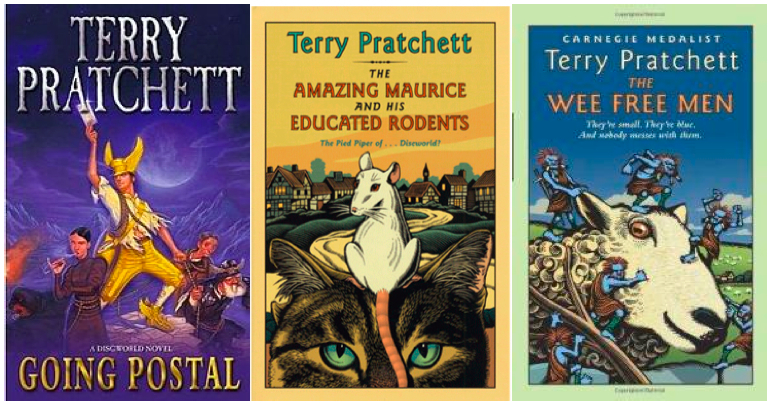 So come back on Wednesday to read Heather Dixon’s Terry Pratchett post. It’s going to be awesome. Many moons ago,* I read this review over at things mean a lot and learned that Diana Wynne Jones wrote two companion books to Howl’s Moving Castle. 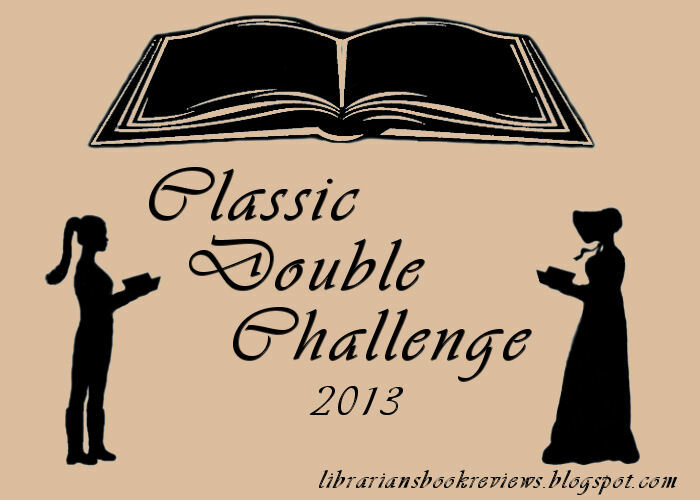 Since I completely love and adore Howl’s Moving Castle, I decided I absolutely had to read Castle in the Air and I was going to do it for the Once Upon a Time Challenge and it was going to be Awesome. Well, I read it. But folks – and this pains me to say this – it was not awesome. I know. It doesn’t seem possible. Diana Wynne Jones not be awesome? 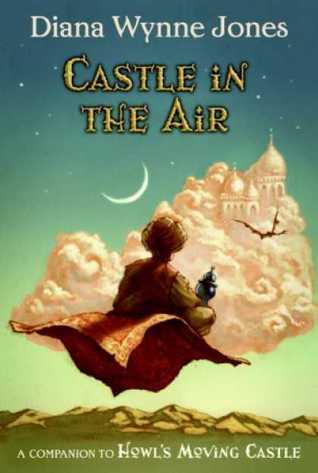 After I finished reading Castle in the Air, I had the hardest time admitting out loud that I didn’t like it. It’s been a few months since I read it so most of the specifics have already left my brain, (and I don’t even want to skim the book to refresh my memory), but from what I remember the book felt not like the carefully work I’ve come to expect from Jones but like it was haphazardly thrown together. I never connected with any of the main characters. When Sophie, Howl and Calcifer arrived on the scene, it felt like a last-minute decision, like Jones suddenly remembered that this was a companion to Howl’s Moving Castle and she better find a way to tie the books together. Did anyone else feel this way about Castle in the Air, or am I alone in my disappointment? I haven’t given up on Jones, but I don’t think I’m going to read the third book in the series, either. Did you write a review? Let me know and I’ll add it to the list! *I just realized that I started this review the exact same way I started the Howl’s Moving Castle review I wrote two years ago. Weird.